Here's the next-generation version of a super-hot craft in an all-new, way-too-cool rainbow of colors. 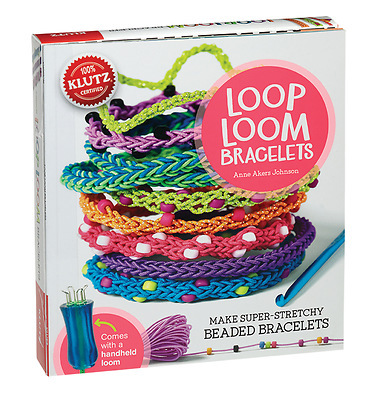 Our exclusive one-handed loom makes bracelets from continuous lengths of brightly-colored stretchy cord -- there's no chance of a rubber band breaking and the whole bracelet unraveling. Frustration-free results every time! Our kid-tested instructions teach a basic looping technique that's easy to set up and simple to follow. With 11 different styles to choose from, you can add beads, mix up colors, and make every bracelet uniquely your own. It's a jewelry kit you'll be loopy about.